Krakow is also a university city – the Jagiellonian, one of Europe’s oldest, dates from 1364 and boasts many illustrious alumni including Karol Jozef Wojtyla – better known to us as Pope John Paul II. You can also join an optional excursion to nearby Wieliczka Salt Mine and Auschwitz. Salt has been mined at Wieliczka since the 13th century. The result of centuries of mining is a huge network of underground passages, corridors and chambers whose crowning jewel is Kinga’s Chapel, 600ft underground and carved entirely out of rock salt – even the chandeliers are made of salt! From 14th June 1940 until January 1945, Auschwitz Concentration Camp was the site of some of the worst atrocities of WWII. The visit includes a film showing the liberation of the camp and the chance to see the infamous Death wall, the national memorials and the cells where the inmates were held. Over 1 .1 million people are thought to have died at Auschwitz and the visit is both moving and thought provoking. DAY FOUR: Today you travel to Zakopane. It may only be 63 miles from Krakow by road, but you spend 2-3 hours rafting gently through the stunning scenery of the Dunajec River Gorge, in the Pieninski National Park. Two hours from Krakow lies the village of Sromowce, on the Slovakian border, where you embark your rafts, which are operated by experienced raftsmen wearing traditional local costume. The gentle Dunajec River offers sightseeing as you go – you will see the 13th century Red Monastery and the gorge itself, with its spectacular limestone cliffs and rock formations. 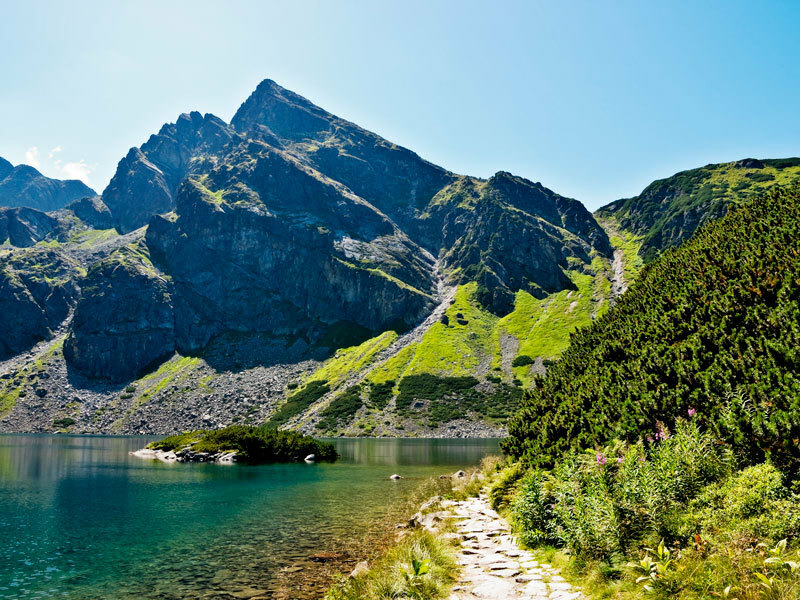 You disembark in the spa town of Szczawnica, and after some free time, continue to Zakopane (35 miles), arriving late afternoon for tour nights bed and breakfast accommodation. DAY EIGHT: Transfer to the airport for your flight home. Depending on your flight time you may have time for some last minute shopping in Krakow. Please note: throughout the tour you are on a bed and breakfast basis. There is a wide variety of lunch and dinner options available in all price ranges in Krakow and Zakopane and the other places you visit.